Jackie lives in B.C. Canada and enjoys playing with yarn and creating ami's in her spare time. 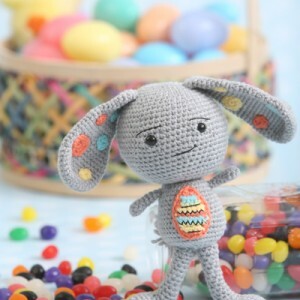 She started crocheting in 2009, and has been hooked ever since! Jackie finds inspiration from family and friends, her favorite TV shows, movies and music! You can find her on her blog and on Facebook. 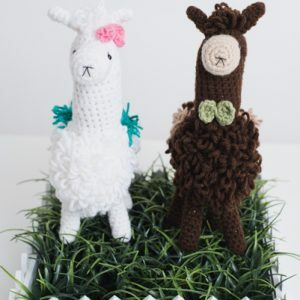 Save the drama for your llamas and crochet your very own pair of Loopy Llamas to cheer you up. With loopy bodies and cute accessories, these trendy llamas are a happy couple. 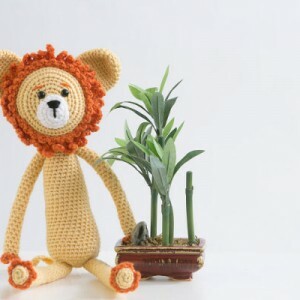 You can make your own little king of the jungle with this lion amigurumi pattern. Bring little Leo as a gift to your next baby shower for a unique twist on traditional gifts. 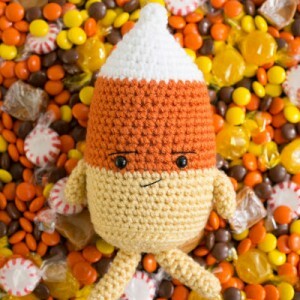 Just as cute as his candy corn companion, this hard candy amigurumi is sure to win you some smiles. Make him for your next Halloween celebration. We have heart eyes for this panda pattern! 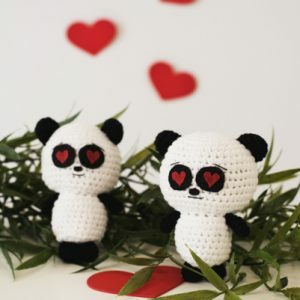 Crochet your very own panda by following this pattern and adding felt eyes and hearts to give him that Valentine charm. 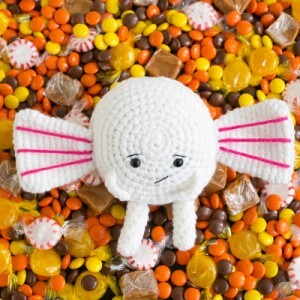 Crochet your favorite Halloween candy using this instructional amigurumi pattern. Just add some safety eyes and watch your creation come to life.